This 12-week program takes the guesswork out of good nutrition! You'll know exactly what to have for breakfast, lunch, dinner, and snacks, and not only that, but it's based on YOUR likes, dislikes, and goals. A few minutes after your payment, you'll receive via email a PDF form of some "pre-starting" information that I'd like for you to get a head start on now (be sure to check you junk-mail if you don't see it in your inbox, and after that, email me if you still haven't found it! ), and then on Monday you'll receive an email from me *to the address you use today* containing the assessments you need to complete so that I can customize your plan. 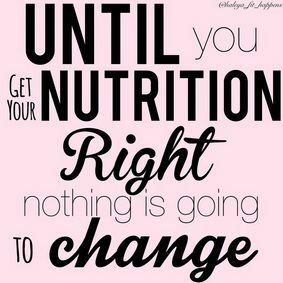 And then you will be well on your way to the healthier lifestyle you desire! *Please email me at lean.nutrition.now@gmail.com if you need to utilize the payment option of two $150 payments instead of the one lump sum of $300 option that you are given here. I've programmed hundreds of plans and can't wait to get one going for you as well!